Enjoy Japan JTB Corp. | Omega Communications, Inc. Features main tourist highlights, with maps of Tokyo and other popular spots throughout the country, and helpful information on public transport, weather, currency exchange, postal services and so forth. 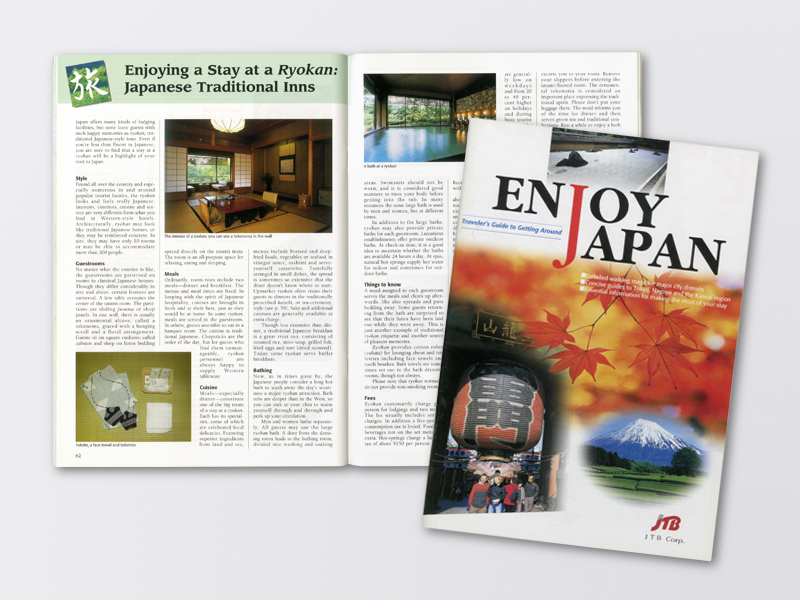 Also includes sections on the pleasures of Japanese cuisine, ryokan (Japanese-style inns), and hot springs.